1. Mix all the dry ingredients in a clean bowl such as flour, cornmeal, salt and sugar. 2. Add the milk to the dry ingredients. 3. Add the eggs and mix very well. 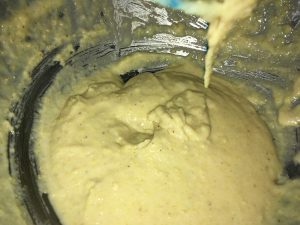 Look at the picture of thickness of the batter how it should be. 4. Boil 3 Tbsp water and put your hot dogs in and keep flipping it until all sides are a little bit brown and the water were evaporated already. 5. Dry your hotdogs using a paper tower and let it sit for 1 min. 6. Boil 5 cups of oil. (amount of oil may vary depends on the size of pot you are going to use. Make sure that the whole corn dog will fit for deep frying). 7. Put your hotdogs on a sticks. 8. 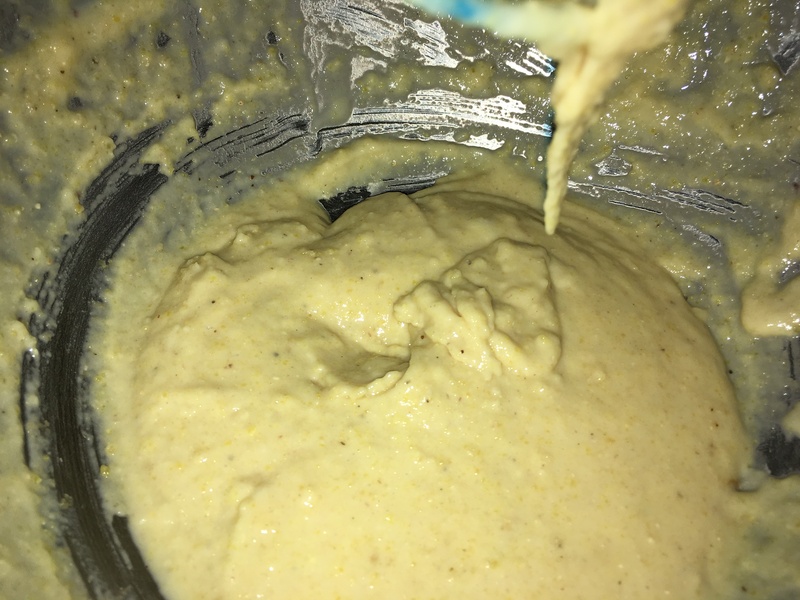 Floured your hotdogs before dipping it into the corn batter. 9. Make sure the whole hotdog is covered by the batter before putting it in a super hot oil. 10. 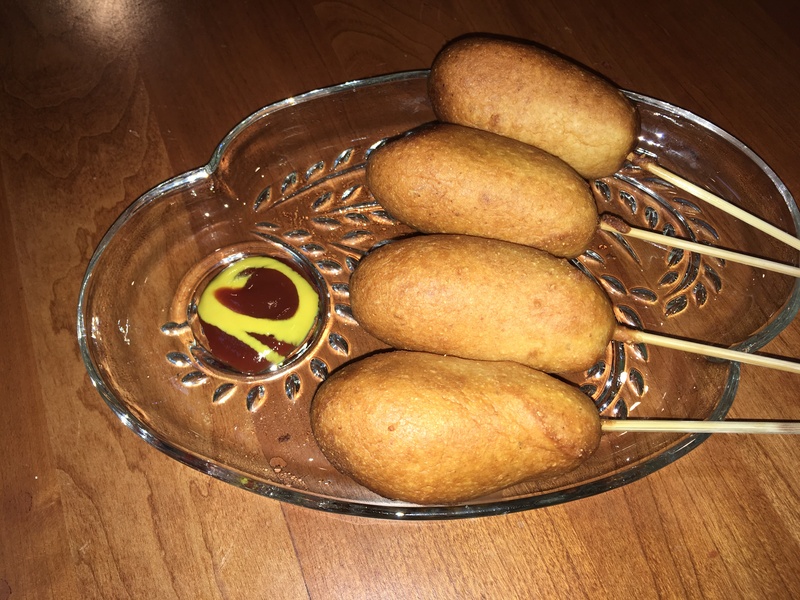 Make sure that the whole corndog is submerge on your oil. Wait til its golden brown. NOTE: You can always cut the hotdogs into half so that you can use less oil than normal.